Research-based bullying prevention taught in the Second Step Program that teachers know and students love. Set a foundation for social and academic success by teaching the Second Step Program. 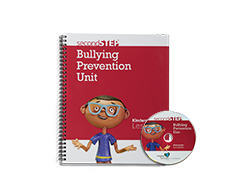 Then build on those fundamentals with the Bullying Prevention Unit for Kindergarten, with training for all school staff and lessons for students. 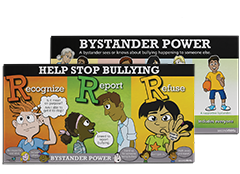 Set of 2 posters from the Bullying Prevention Unit: Bystander Power and Recognize, Report, Refuse. 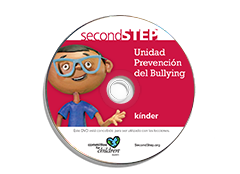 Spanish version of the Bullying Prevention Unit classroom DVD for Kindergarten.